With hectic modern lifestyles and so much stress in our daily lives, it's more than important than ever for people to take some time for themselves. The mind and body both need a lot of care, and day spas are one of the best ways to help people look and feel their best. These spas, which differ from destination spas in that they don't include accommodation or additional services like exercise and diet regimes, offer a range of health, beauty, and relaxation services like massages, facials, sauna sessions, body care treatments, and more. There are quite literally thousands of day spas all around the United States, so you're never too far away from a relaxing location and super services like massage and skin care. Millions of people in American and around the world visit day spas on a regular basis for their mental and physical well-being, but the costs of day spa services and treatments can vary wildly from one location to the next. - Location – This is a big factor that has a major influence on day spa costs. If you happen to live in a major city like New York or Los Angeles, you'll find that day spa costs will be much higher than they would be out in a rural or small town location. This is simply because the cost of living in big cities tends to be higher across the board, so people are willing to pay more and businesses are eager to charge more for their services. - Type of spa – Are you going to a regular day spa or a hotel/resort spa? Regular day spas tend to be cheaper in general, while hotels or resorts that feature day spas will charge higher fees for treatments and services. - Style – The style of the spa will also have an influence on the price. Some day spas operate on a ‘no-frills’ basis, asking visitors to simply get changed in the same room as they have their massages, for example. Other day spas will feature locker rooms, fancy bath robes, and additional deluxe services. Naturally, the latter type of spa will be more expensive on average. 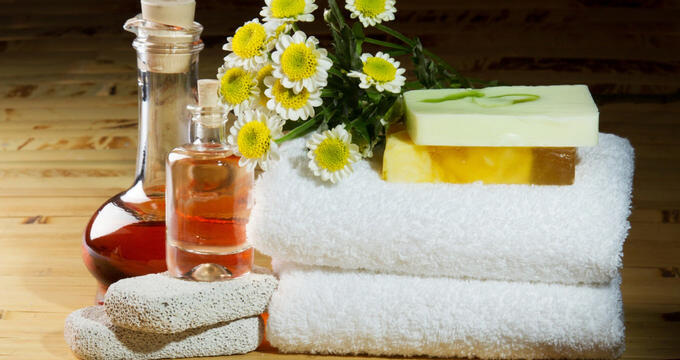 Now that you know which factors to consider when searching for your next day spa treatment, let's look at some average prices for the sorts of treatments and services you might be interested in. It's also worth noting and remembering that the base costs of day spa services don't include tips, so you may need to add 15% on top of the following fees. - A regular one hour massage will have an average cost of around $100. Massages can be found as low as $80 in cheaper locations or up to $150 at more luxurious resort day spas. - Special massages involving the use of additional tools or products may be more expensive, averaging out at around $120. - A simple facial, like a massage, will have an average cost of $100. At smaller locations, facials can be had for $80 or even less, while more luxurious day spas will charge $125 or more for this service, especially if you choose to add on options like eye treatments or serums. - Manicures and pedicures are among the cheapest services provided by day spas, costing around $40 on average. - Sign up for a membership. Some day spa chains run membership programs, offering exclusive discounts and deals to loyal clients. - Book ahead of time. Like with most things, booking in advance can often result in reduced fees at day spas. - Check online for day spa coupons and special offers. Day spas will sometimes run promotional deals and other specials to help clients save money on their treatments. - Compare different day spas to get the best deal. If there are multiple day spas near you, check out their sites and fees to find the lowest prices for the service you want.